Cantor Art Center as seen from inside Richard Serra’s steel sculpture Sequence. Nothing gives you a sharper shadow than sculptured steel baking in the California noon sun. 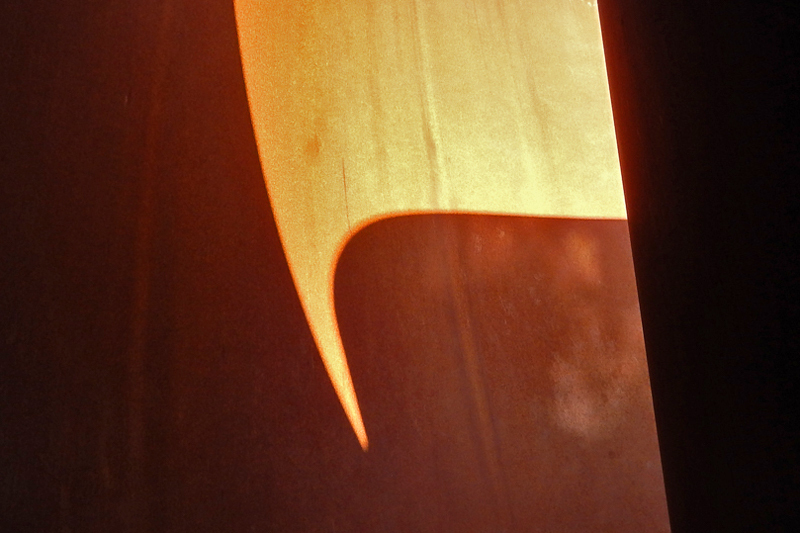 This is the view from inside Richard Serra’s monumental steel sculpture Sequence. 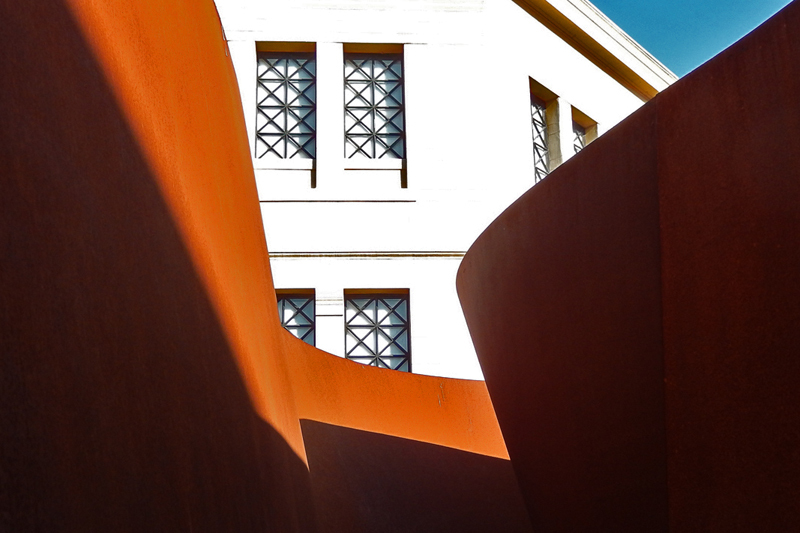 The sculpture has been in the courtyard of the Cantor Art Center at Stanford since June of 2011, but will be leaving on the 26th of January to take up residence in the remodeled San Francisco Museum of Modern Art (SFMOMA). 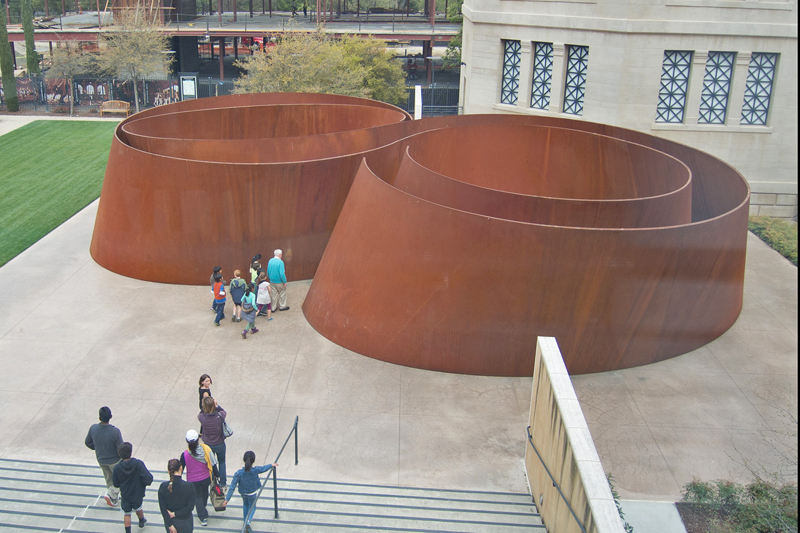 Sequence, Richard Serra’s 235 ton steel sculpture. “Sequence,” is 67 feet long, 42 feet wide, and 13 feet high, and weighs 235 tons. It will be disassembled by steelworkers and loaded on flatbed trucks (one piece per truck) and hauled away to it’s new home for re-assembly.